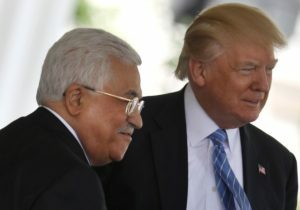 Secretary of State Rex Tillerson informed senators that the Palestinian Authority will no longer pay terrorists and their families for attacking Israelis. He made the comments Tuesday at a Senate Foreign Relations Committee hearing. Tillerson and Trump discussed the issue with PA President Mahmoud Abbas during meetings in Washington and Bethlehem. “The President raised it, and I had a bilateral meeting with [Abbas] later and I told him — you absolutely have to stop this,” Tillerson said. The PA has paid $1.12 billion to terrorists and their families over the past four years.